Having a small bedroom may present some challenges, but a limited floor area doesn’t have to be boring! If anything, what you can accomplish with limited space helps you get more creative in choosing your furniture and décor. Here are some tips to achieve a nice and cozy bedroom with limited square footage. More lighting can make even the tightest space much more comfortable and airy. Don’t be afraid to use windows and keep treatments to a minimum to make the most of the natural light. Windows also offer great light for reading during the day. For privacy, you can simply use vertical blinds. Every inch is vital when you have a small bedroom, so the more you can limit your furniture size, the better. 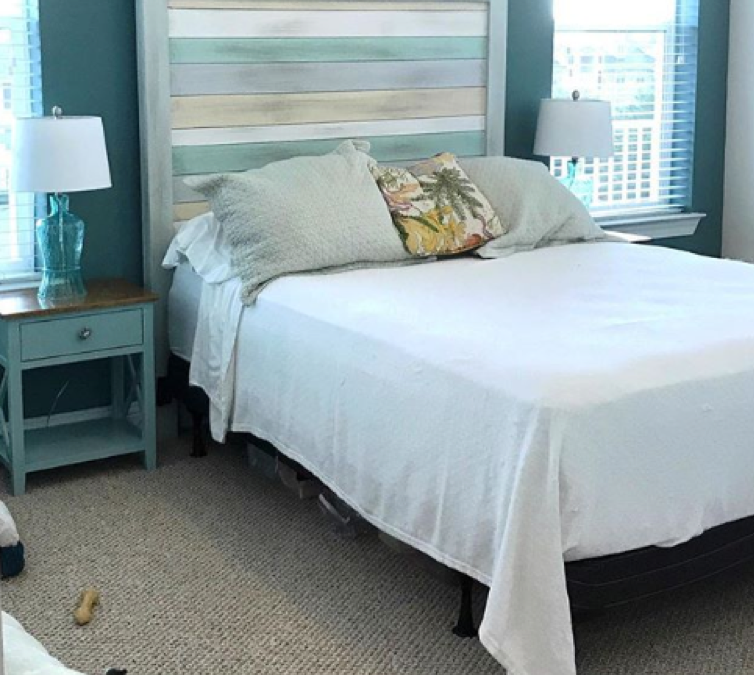 Instead of getting a traditional bed frame with footboard, opt for a simple, yet elegant headboard that you can hang to save more space and draw attention. 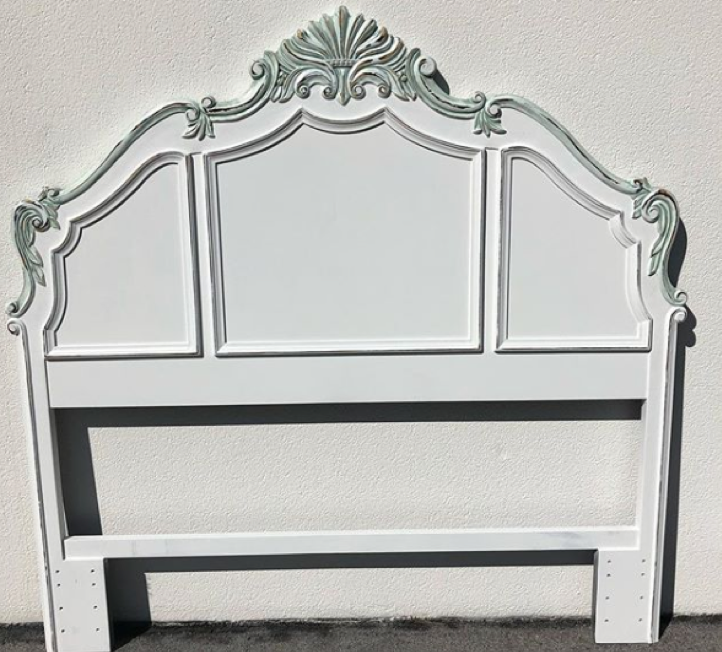 For example, this gorgeous chalk-painted queen headboard can serve as your focal point in the room, making it appear much bigger. 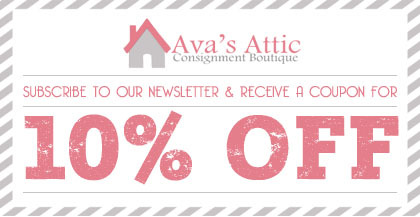 A smaller bedroom doesn’t mean you can’t be stylish! 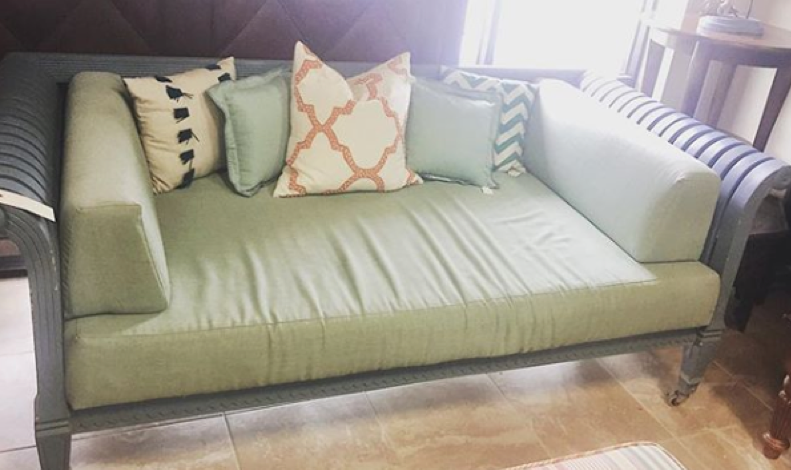 If you live in a studio, you might want to save on precious space by ditching a full-sized bed and getting a daybed that doubles as a couch instead, like this one from Ava’s Attic. White is always a practical choice for small spaces, as it is very effective in expanding and brightening up a place. If you’re worried that the color may lack personality, considering layering your whites by using different shades, textures and patterns. You can also add soft neutrals and metal colors in your décor to create a look that is warm and inviting. This is a classic trick to create the illusion of a larger room that is so simple yet so effective. For best results, position your mirror to reflect the light coming in from the windows and you can easily increase the natural light in your bedroom. 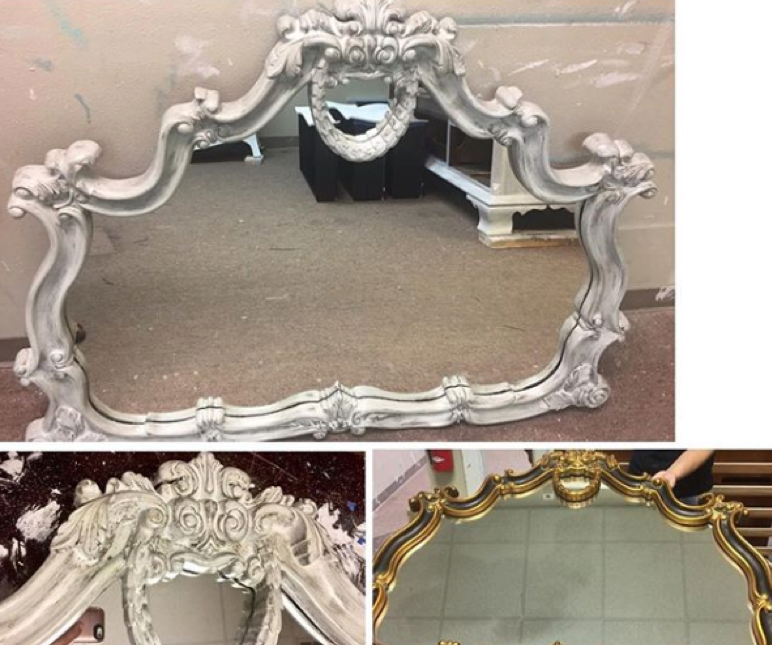 This mirror that was transformed by our team at Ava’s Attic does the job in style! You’ll be surprised how simply replacing your light fixtures can go a long way in making your room look bigger. Not to mention it saves a small room from looking like a college dorm and transforms it into a mature living space. 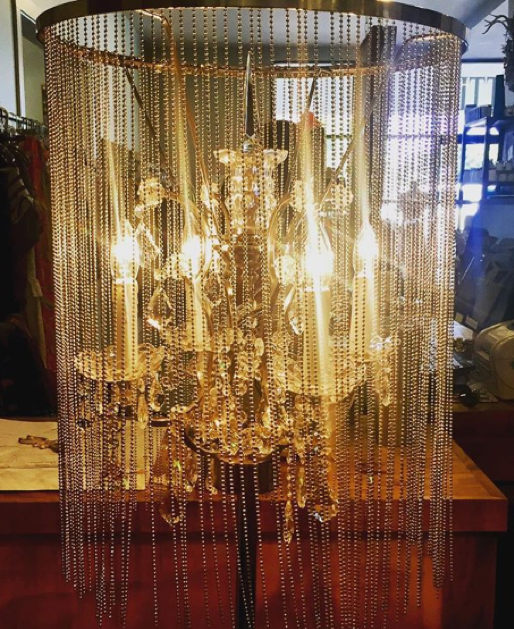 An oversized light fixture like this beautiful chandelier helps draw the eyes to the ceiling, creating the illusion of more space. Even if you may be limited in space, you are never limited in ideas when it comes to styling your Destin home. Follow the tips above if you want a bedroom that is not only livable, but a place you are looking forward to retreat to on a daily basis.